Spread the Word supports talented, low-income London writers to receive professional manuscript assessments. 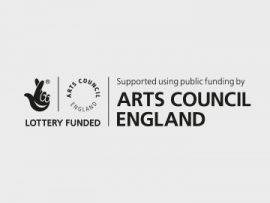 Funded by Arts Council England, The Literary Consultancy’s Free Reads scheme offers low-income writers access to The Literary Consultancy’s long-running manuscript assessment service, available for partial or full manuscripts across fiction, non-fiction, short stories, poetry, scripts and screenplays. Selected writers are hand-matched to a suitable reader from its list of 80+ professional editors, and writers can expect to receive feedback in the form of a written critique by TLC, sent within 4-6 weeks of the application being processed. The Free Read scheme particularly welcomes applications from writers belonging to groups currently under-represented in publishing including women writers, disabled writers, BAME writers, and members of the LGBQT+ community. Spread the Word is delighted to be an official partner for The Free Reads scheme, supporting applications from London writers. Over the last 10 years, we’ve supported 47 writers with receiving professional feedback. The scheme is open throughout the year with two deadline windows: 1 July and 1 December 2019. Full guidelines on how to apply can be found below. If you identify as being on low-income but do not meet one of the criteria listed above then please get in touch as we are able to evaluate applicants’ eligibility on a case-by-case basis. All applications will be processed via Submittable. There are two application windows for 2019: the deadlines are 1 July 2019 and 1 December 2019. We will respond to all applicants within three weeks after the deadline. We have provided a list of FAQs with details on how to submit your entry. If you have any further queries, please get in touch. Good luck!